With 3 interesting wrecks available within recreational diving we offer 2 full days of diving and speciality coursework with certification. Generally we dive the Chrisso, the WindJammer, the Omega. The offer is often integrated with other certifications such as "DEEP" or NITROX" or "DEEPEXT" if you do not yet have them. 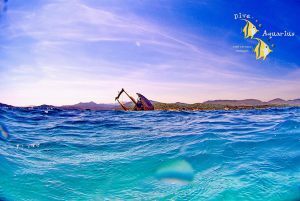 Besides the wrecks there are many anchors worth a visit and some remains of the historical REGGIANE, a plane from the 2nd world war near "isola del Fico". For people with the DEEPEXT certification (-45mt) we can also dive the Mamma Elvira wreck full of the Bauxite explosive powder! 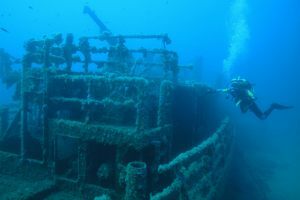 To learn more details about known wrecks within the Marine Park waters check our dive map or follow this Marine Park link.